With Ryan Honick and Çravixtha Acheson. 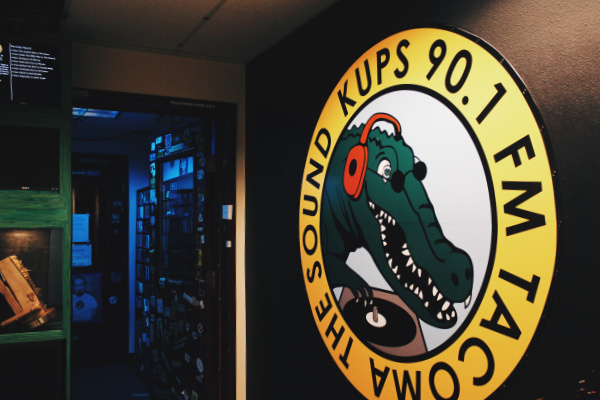 Between 2008-2009 Ryan hosted two shows on KUPS 90.1 FM “The Sound.” "The Monday Morning Mix" on Monday mornings from 7-9 A.M. highlighted independent artists, under appreciated bands, and bands that manage to often fly under the musical radar. The last show aired in December of 2008. In 2009, with the addition of co-host Çravixtha Acheson, Ryan hosted “The (Currently Nameless) Soundtrack Show” on Saturday mornings from 8-9 A.M. The show featured favorites from the world of soundtracks, including films, musicals, video games and everything else. The show was founded with two important beliefs: 1. Everyone misses the old memories of Saturday morning cartoons and wants their Saturday mornings to be fun again. 2. Life is that much cooler with background music. “The (Currently Nameless) Soundtrack Show” aired its last show in May of 2009. While these shows are no longer broadcast, archives of them remain here for our fans and listeners. We thank you for your support and appreciate the time we spent with all of you throughout our time with KUPS. In 2009, KUPS was awarded the MTV Woodie Award for best college radio station in the nation. There’s good reason for that. We encourage you to listen to the great lineup of current DJs on KUPS 90.1 FM “The Sound” by visiting kups.net.